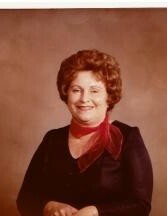 Obituary for Patricia J. Dirig | Thomas J. Shea Funeral Home, Inc.
Patricia J. Dirig 97, passed away on November 26, 2018 in Kirkwood, NY. Born on October 2, 1921 in Johnson City, NY to Patrick and Irene (Slattery) McKeon. Patricia was a member of St. Mary’s Church in Kirkwood and in the Altar Rosary Society. She worked at Lourdes Hospital for 25 years. Surviving are her children Charlene Hall, Audrey Egan, Jerry and Virginia (O’ Hara) Dirig, Lea and Mike Colsten, David Dirig, Brian and Suzanne (Wheeler) Dirig, Jill and Brian Whetsell; daughter in-law Angie Dirig. Patricia was predeceased by her Husband Edwin H. Dirig; brother Gerald McKeon; brother in-law Rev. Walter Dirig CM, Lawrence, Vincent and his wife Mabel; her sister in-laws Elizabeth, Helena, Sr. Marie Madeline (Emma), and Sr. Mary Domitilla OSB (Mary); son in-law John Egan. She is also survived by 25 grandchildren; 73 great-grandchildren; 20 great great-grandchildren; nieces Margaret Mary (Dirig) Beals, Jacqueline Dirig and nephew Timothy Dirig. Visitation will be held on Thursday November 29, 2018 from 4 until 6pm at THOMAS J. SHEA 137 Robinson St. Binghamton, NY 13904. A Funeral Mass will be offered on Friday, November 30, 2018 at St. Mary’s Church in Kirkwood, NY at 10am. Interment will be held at St. Francis de Sales Cemetery in French Woods, NY at the convenience of the family. In lieu of flowers, please consider a donation in Patricia’s name to St. Mary’s Church 975 US Rte. 11 Kirkwood, NY 13795.